Tikitin BEAT is a versatile MEMS resonator design platform which enables Tikitin to design compelling MEMS resonator solutions which are optimised to different applications. Tikitin BEAT designs are aimed to global IC and oscillator companies which are selling different types of oscillators as stand alone products or integrated into vendor's IC solution. 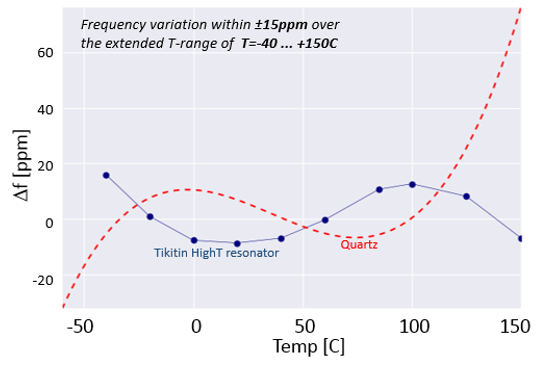 Tikitin BEAT combines almost 20 years of research into a solution which is for the first time enables MEMS resonators to be replacements for quartz crystals. This disruptive solution has already been verified with number of different driving circuits with great results. The same driving circuits designed for quartz can be used and Tikitin partners can get to the market place with new MEMS based solutions quickly. Tikitin BEAT is available and Tikitin can deliver NRE projects on a design tailored for partner’s application in few months. Resonator sampling has started with early adopters and the next batch of with new samples is on its way. In meanwhile you might be interested in learning more about Tikitin BEAT. Please fill in the form below to receive a recent presentation by Tikitin CTO Antti Jaakkola about PIN-to-PIN compatible resonators.